How to do macro photography using reverse lens technique? 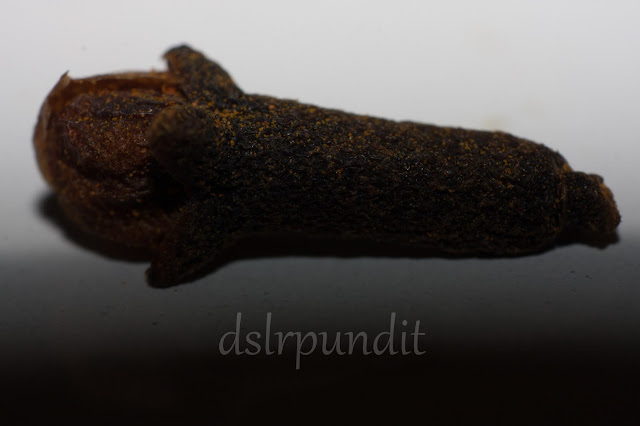 If pictures of extremely small objects sometimes draw your attention, then this post is for you. Taking pictures of small insects, objects, etc comes under the branch of macro photography. There are multiple techniques in order to do close up or macro photography as mentioned in the list below. In the next section, we will get started with the third technique i.e. reverse lens macro photography. 1) Extension tubes: Electric and Non electric. 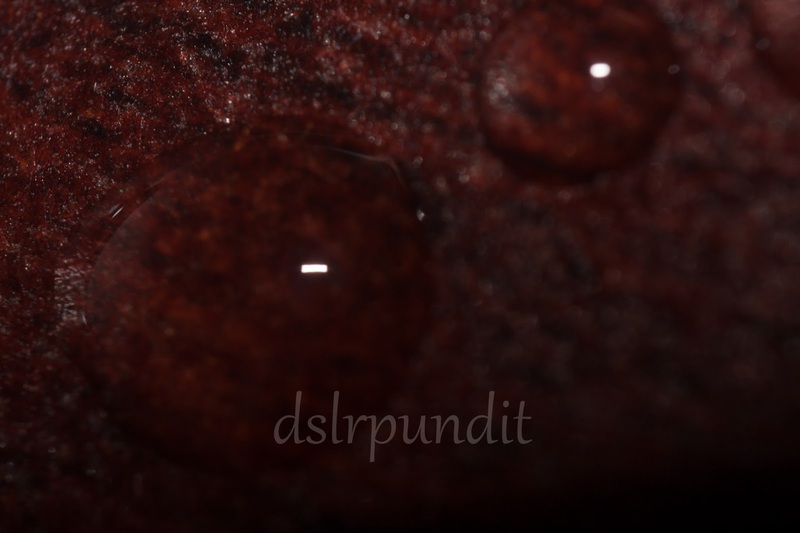 Close up or a macro shot can be achieved using a cheap kit lens with little bit of work. The quality of pics produce by using the reverse lens macro technique is simply astonishing. 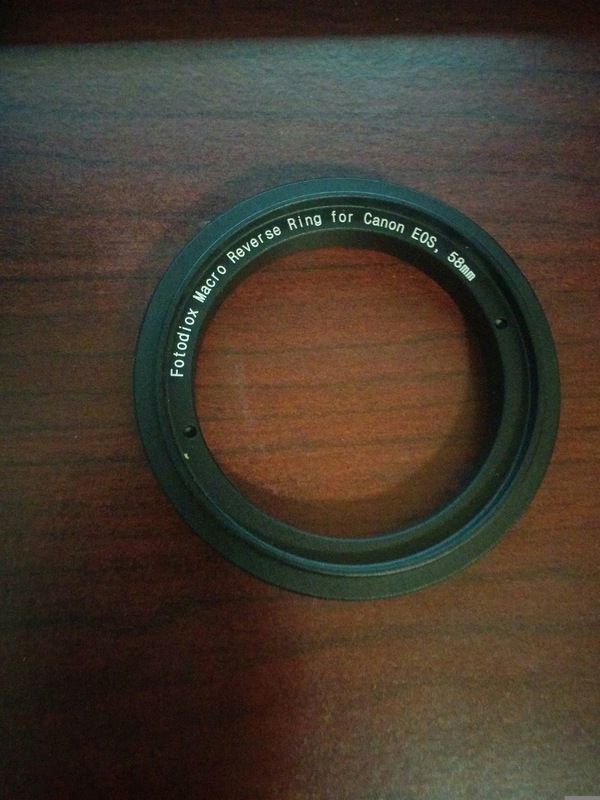 All you need is a reversing ring matching your lens filter size. The filter size of my canon 18-55 kit lens is 58 mm, the reversing ring is shown in the image below. 1) The ring comes with threads. Screw the ring to the front element of your kit lens. Set the lens focal length to 55 mm. Lower the focal length, the closer you have to be the subject and thus greater magnification. 2) Disconnect the lens from your DSLR body and attach it backwards. The ring has threads which help in the attaching the lens in reverse direction. 3) Turn on the DSLR camera. 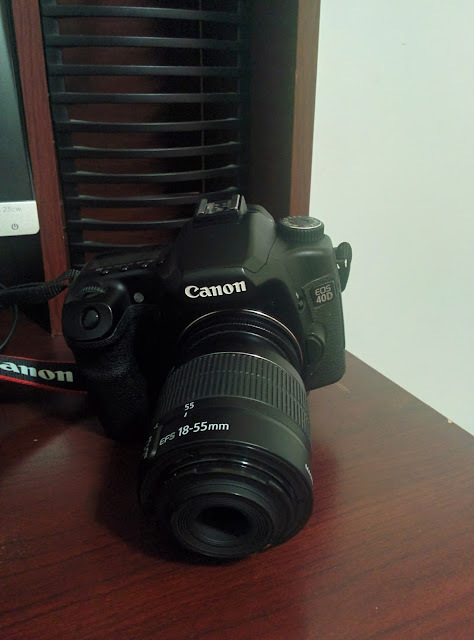 F-stop value would be 00 as there is no electrical connection between the lens and the DSLR body. Don't worry about controlling the depth of field as of now. Manual focus lenses (ring to adjust f-stop value) really help to achieve a superior depth of field, will make a separate post explaining this. 4) Look through the viewfinder and go close to a really small object such as a coin, almond, pen cap, etc. Everything would look blurry and out of focus. For accurate focus, concentrate on one object and move back n forth. You will see a particular distance at which the object would get in focus. This is your optimal distance, stick to it. 5) Take a few shots and adjust shutter speed accordingly for exposure. As there is a lot of vibrations, I would definitely recommend either a higher shutter speed or using a tripod. To compensate for a proper exposure, inbuilt or hot-shoe mounted flash can also help. This topic would be covered in detail in the next post. Here are some sample shots that were taken by me using this technique. Reverse lens macro photography is not an easy technique, it needs a lot of patience and practice. I would definitely add that the pain is totally worth it, as you can see in the example images. 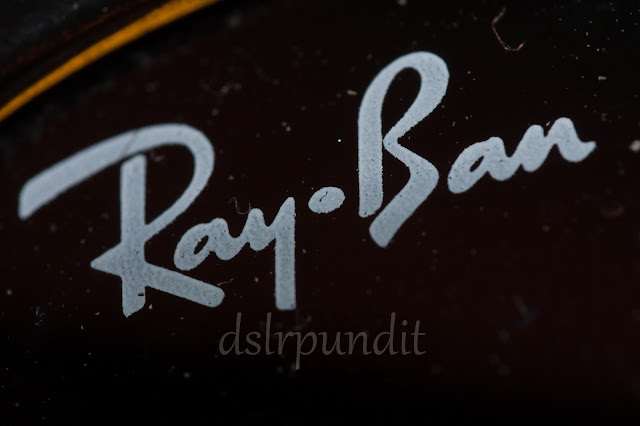 A 5 dollar reverse macro lens ring from eBay is all you need, so why not give it a try? Share your results in comments. 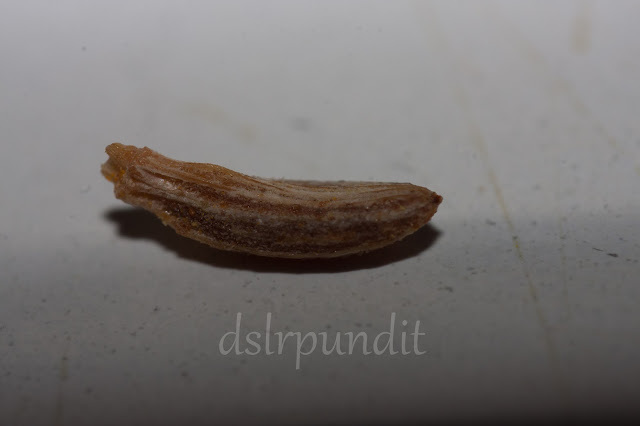 18 mm -> Example photography subjects: Cumin Seed, Fruit fly, Ant, etc. 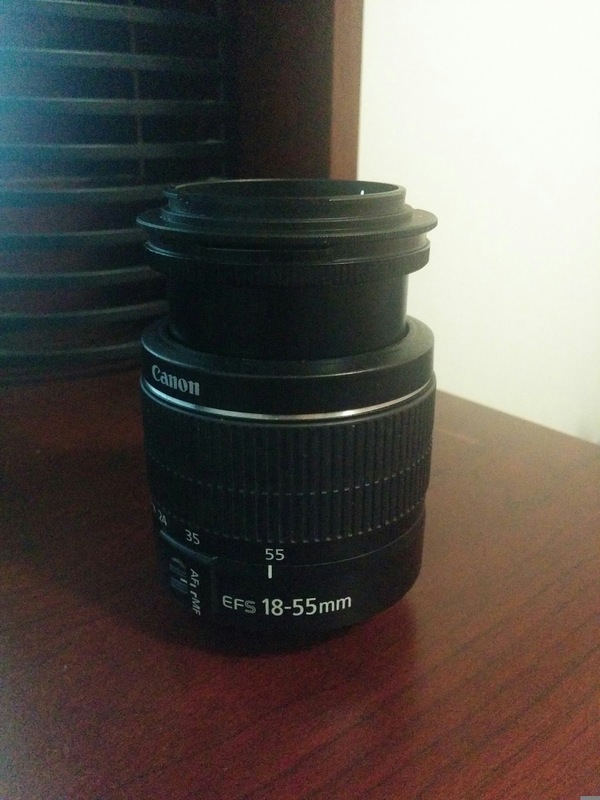 55 mm -> Example photography subjects: Currency coins, cashews, keyboard alphabet, etc. And that is the first time that an explanation of reverse lens has come to my attention . Now I know . Thanks for that .